The above info came from Patricia Beltran, and was edited by yours truly (contact me). The image came from Amazon.com. Fancy Lala is a story about Miho Shinohara, a little girl who daydreams a lot. One day, she me Pigu and Mogu (dinosaurs). They gave her a magical sketchbook that could make her a little bit older. 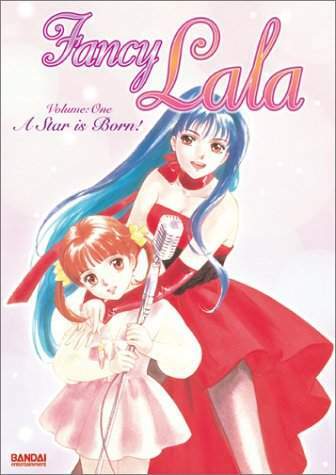 Miho was then seen by a producer and later became Fancy Lala, a popular singer, actress, and model. The above description came from Patricia Beltran, and was edited by yours truly (contact me).